Update: This article was originally published on April 20th 2018. It's been republished as part of our Mobile Games University course on financing your games studio. 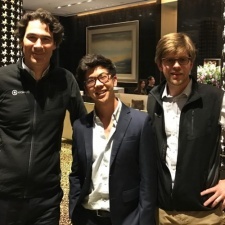 Original feature: This article was written by Atomico games team (pictured, left to right): venture partner Alexis Bonte, senior associate Stephen Thorne, partner Mattias Ljungman. This is an edited version of a post originally published on Medium. There's no silver bullet or magic formula for spotting the next great games company (or sure-fire hit game), and data alone will only get you so far. So at Atomico we have developed a framework for evaluating games by zeroing-in on the characteristics we believe the best-in-class games companies share. To help games founders prepare - as they consider how best to shape their business and pitch their vision to investors - we’ve decided to make our evaluation framework public. We hope that it will become a handy checklist of things you should be able to discuss, if you are getting ready to go out and raise external funding. The first thing we look at is Overall Games Fit. This is a high level first pass, probing a whole range of factors such as ‘gameplay differentiation’, and whether a game feels ‘new and fresh’ as well as ‘familiar and comprehensible’ at the same time, along with a number of other considerations (see below). What are your acquisition costs and marketing differentiation? What is the size of the addressable market opportunity? Is the platform proven and growing, new and unproven or declining? What would you say is your likely app store appeal (Google Play, Apple, Steam), brand appeal or IP advantage? What is the level of games expertise of your seed and/or angel investors? Tell us about your team track record and amount of time spent together? Is the production cycle speed of present/future games in line with the vertical? Next, we drill into Unit Economics, which act as our second filter. Our close relationships with a number of angel investors and early stage funds, who help support teams through their early development, ensures the most promising games startups are already on our radar, even in their pre-launch phase. Once a game is in soft launch/alpha, we look at metrics such as user and revenue growth rates, user acquisition (UA), marketing return on investment (ROI), cost of acquisition (CAC), retention metrics and average revenue per daily active user (ARPDAU), and sustainability of revenues. These metrics can be very different depending on the genre and even within a same genre. It would be misleading to say there is a golden rule here, but there are some rules of thumb. So for casual games we like to divide the market into super casual, standard casual games and casual with midcore design loops. Super casual games are driven predominantly by ad based revenue with low ARPDAU, but also low cost of acquisition (CAC). This category attracts a lot of users cheaply, but its monetisation is not as intense as in other casual genres. Standard casual games usually don’t have as strong ad-based revenue, but they have a healthy ad revenue and in app revenue mix. The cost of acquiring users is higher than super casual but the monetisation (ARPDAU) is slightly higher than super casual. Finally the casual games with midcore design loops are great at monetisation (ARPDAU) through mainly being focused on deriving revenue from in app purchases - but their CAC can be much higher. For midcore games it’s a pretty similar picture, but they are usually dominated by in-app purchases and high CAC with the added feature that they usually have strong synchronous or asynchronous multiplayer components. This is a tough place to build a gaming business given the dominance of some of the juggernauts in the ecosystem. Although there are some that have games that have produced viral loops, which transforms the CAC and they can also derive revenue from advertisements. Still with the right combination of innovation, familiarity and flawless execution, breakthroughs are still possible in this genre. After that comes Competition, which we measure in the context of originality, first-mover status, existing scale, ability to build a powerful lasting moat and international success or potential for success. This is critical in a market where 1,500 new games are created a day, which are all jostling for their share of the $50 billion mobile gaming market which represents 76 per cent of iOS and Google play revenue. Competition is intense but there are rewards for both the big and small players. ‘Is X already a leader in major game vertical, or verticals, with huge hits and a big brand’? ‘International Scale: Proven success in the US and Europe, China and Japan’. But in the end it all comes down to Team. Here we grade the team’s vision, starting with: Are they visionary founders? And by that we mean, do they know the type of company and games they want to build? Are they unafraid of taking creative leaps frequently into the unknown? Do they have the relentless hustle to win? Do they have naturally competitive DNA to win or fall over trying with experience of both? Are they a team that consistently setting and achieving 10-times goals for themselves and company? Are they constantly breaking-through the idea of ‘no that is not possible’ and a raw solutions hustler? Have they overcome adversity (the start-up journey, especially in games, will always hit turbulence, so they will need agility and resilience to succeed)? Are they a talent magnet and culture builder? Do they seek to build an execution machine, and an inclusive culture that others will break through walls for. Are they obsessive over the experience of the product? Are they deeply passionate about understanding what makes a game unique, fun, entertaining and seductive while empathising with the users? Strategy - do they have an achievable plan and do they understand the three-to-five mission critical objectives they need to achieve to hit their next major milestones? Do they have the requisite execution capabilities? Under data and tech: Are they technology-led? Do they have tech expertise? Are they data/metrics-driven? Do they move fast using facts? Are they open and collaborative? Do the team love the company and will they put themselves on the line for the business? We also explore ‘cells cohesion’: is there ‘telepathic’ - i.e. instinctive - connectivity between people (e.g. 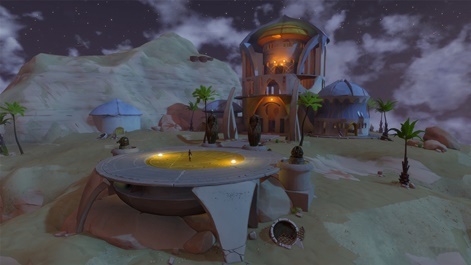 across art, dev, QA, community)? We look at the number of cells that can/have delivered a hit game. We also look for a pattern of them learning from their successes and failures. Scars, we believe, are good. Using our evaluation model that we are constantly fine tuning and updating, Supercell unsurprisingly smashed it out of the park, scoring our highest ever rating. Talking to thousands of founders since 2006. Spending time with our portfolio companies to deeply understand their path to success - and the obstacles along the way. Atomico’s entrepreneur Partners, like Supercell co-founders Ilkka Paananen and Mikko Kodisoja and eRepublik Labs founder and Atomico Venture Partner Alexis Bonte, all of whom are deep specialists in games. 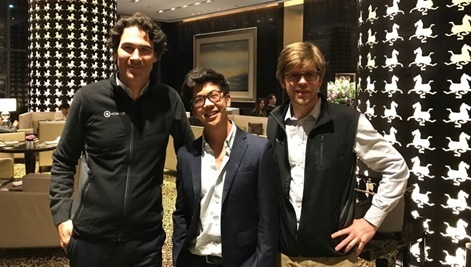 Leveraging our worldwide network to gain insights into their success stories, whether that’s Riccardo and Sebastian at King, or the team at Tencent in China or SoftBank/GungHo in Japan. Looking at games companies which haven’t succeeded, and asking why? We have been entrepreneurs ourselves. We’ve arranged seminars/workshops/events where we’ve discussed these topics with industry leaders and the next wave of games talent. We speak regularly to our friends and partners at other funds that invest in games, people like Lifeline Ventures, Makers Fund, IVP, Accel, LVP, Initial Capital, Index, Backed, Level-up and Sweet Capital to name a few. And, finally, we play games. A lot. But to answer your question. Yes, sometimes we still it get it wrong - but the framework we’ve established helps us optimise our chances of success. Does my game feel ‘new and fresh’ with the vital ingredient of being seductive as well as ‘familiar and comprehensible’? What is my probable brand appeal/IP advantage? What is my strategy? How do I get to my next milestone? How can I demonstrate my ability to execute? Are we technology-led and data/metrics driven? Does my team love the company and will they put themselves on the line for it? Can they all sum up our mission in a few words? Are we creative risk-takers? If so, how? It’s still early days for games and there are plenty of areas that have yet to be explored let alone fully tapped. At recent meetings with companies, we’ve seen any number of cool things being done within social, on PC, with Twitch and YouTube. 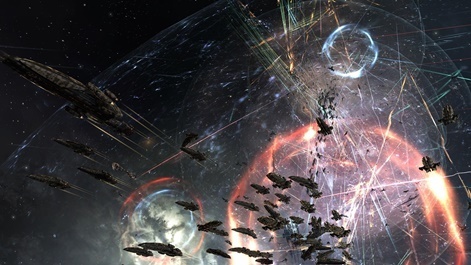 Boundaries continue to blur with the likes of EVE Online, which has an in-game open economy, and Worlds Adrift, where you actually get gamers not only creating content within the game, but talking about it to their friends and thereby marketing it too. That social element explains why we think another giant will soon emerge, built on a fusion of gaming and social networking. People are united by games - they always have been. From cards or chess to playing Doom or Civilization with your friends, as Mattias and Alexis did back in the early nineties - games are a fundamentally social activity; an ice-breaker between cultures and people as you can see in the growing number of esport live events where you are likely to bump into Stephen. Of course that’s easily forgotten in the era of mobile games, which have become one-to-thousands - a solitary form of entertainment where you don’t know who’s on the other end of your connection. So we believe there will be a new wave of social games coming through - and we expect to see innovations similar to what Tencent has achieved, by adding messaging and other elements to enhance that in-game communication between players. Another huge trend is games within PC and console that haven’t replicated their huge success on those platforms on mobile yet. There’s an opportunity there to create deeper, more engaging games on mobile, that keep players coming back for more. Winning big in games creates powerful defensive moats. A combination of creative differentiation and a data-driven approach is required to break through in a raucous marketplace dominated by the big-hitters. If they are able to reach escape velocity, however, games companies can enjoy huge economies of scale. These leading studios are able to control the talent - a huge advantage given the critical importance of individual flair and creativity to a company’s success. Strong brands and IP translate into superior KPIs: once established, brands and IP (e.g. 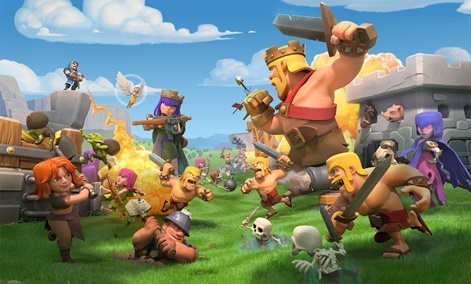 Clash of Clans or King’s Saga brands) drive consumer recognition and lower Cost Per Acquisition (CPAs) - which further tilts the playing field in their favour. It can also create a network effect, where the more engaged players you have, the stronger the game becomes, which in turn attracts yet more players. The rate of acceleration in the games industry is, if anything speeding up. Fed by a virtuous circle of success breeding further success. As the flywheel’s velocity increases, so does the opportunity. 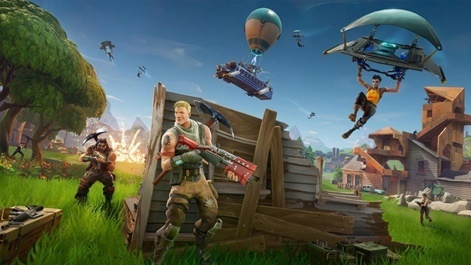 Fortnite (Epic Games/ People Can Fly) is a good example of this - it launched last July and now has a run rate of $1.8bn. And after just three weeks on mobile, it is now doing more than $1m-a-day in revenue - and growing. This acceleration is playing out in Europe too. We’re already seeing a new wave of companies emerge from the European greats, including Space Ape (EA, Playfish), Oh BiBi (Gameloft), and Bossa (Bullfrog, Jagex, Ubisoft and Playfish), in the same way that Supercell itself emerged from Digital Chocolate/Sumea. The acceleration is also supported not just by the flow of talent back into the ecosystem, which becomes the next generation of founders and experienced executives - the gaming equivalent of the PayPal Mafia - but through the release of capital too. Supercell, for example, has invested in Finland’s Shipyard Games, while King are backers of Snowprint Studios in Sweden. Another important factor is that the success of the games sector is inevitably attracting the attention of more and more participants from outside the core European industry. Whether that is more VCs - both mainstream and specialist - or Asian strategic investors such as Tencent, Nexon and NetEase, as well as companies from other sectors, including entertainment, media and technology companies - ranging from Lionsgate and Universal Music to Microsoft, Sony and SoftBank. Further evidence, if it was needed, that far from flash-in-the-pan, Europe’s success is here to stay. "The European games industry is a non-stop unicorn juggernaut"